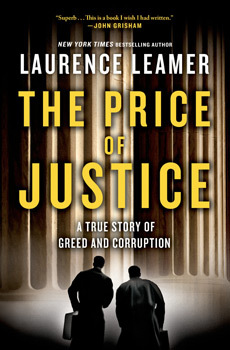 The Gazette’s Dr. Paul Nyden had a review in Sunday’s paper of Laurence Leamer’s major new book, “The Price of Justice: A True Story of Greed and Corruption. ” The book focuses on the Harman Mining/Hugh Caperton lawsuit against Massey. 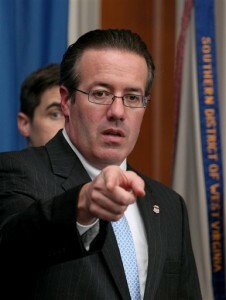 As most readers of this blog certainly know, that case went all the way to the U.S. Supreme Court and produced a ruling that state Supreme Court Justice Brent Benjamin was wrong to refuse to step down from Harman Mining’s appeal because of then-Massey CEO Don Blankenship’s funding of a campaign that helped put Benjamin on the court. As Dr. Nyden has already reported, this whole dispute continues in the courts in Virginia. Leamer tells the story of Pittsburgh lawyers Bruce Stanley, who grew up in Mingo County and worked as a newspaper reporter in Williamson before getting a law degree, and David B. Fawcett, whose father and grandfather were both lawyers. Both work for prominent Pittsburgh firms — Stanley for ReedSmith and Fawcett [first] for Buchanan Ingersoll and now for ReedSmith. Fawcett and Stanley also previously represented clients in two other lawsuits against Blankenship and Massey. Wheeling-Pittsburgh Steel hired Fawcett to sue Massey after it violated its 10-year contract to supply the company with high-quality metallurgical coal. Instead, Massey began selling its met coal to buyers willing to pay higher prices, exporting much of it to steel producers in foreign countries. After a four-month trial that ended in July 2007, Fawcett won $220 million in damages for Wheeling-Pitt. When the U.S. Supreme Court rejected Massey’s appeal, Massey paid the troubled West Virginia steel company $267 million, including interest. Stanley sued Massey on behalf of the widows of two coal miners killed during a fire in its Aracoma mine in Logan County. Using government inspection reports and testimony from other miners, Stanley proved Massey had forced its Aracoma miners to work under unsafe conditions. The size of the settlements paid to the widows were never made public. Accompanied by Bruce Stanley, Leamer will speak at Taylor Books, at 226 Capitol Street in downtown Charleston, at 2 p.m. Leamer and Stanley will then visit Chief Logan State Park, four miles north of Logan, at 6:30 p. m., for another program and free reception. Mr. Leamer does not succumb to the temptation to overwrite the story. His account is straightforward and elegant. Although there is ample opportunity to be dramatic about Mr. Caperton’s plight, Mr. Leamer lets the facts tell the story. On the Daily Beast, Leamer has a new commentary out that was getting a fair amount of attention this weekend. Leamer opines about the ongoing criminal investigation launched after the Upper Big Branch Mine Disaster, calling it “a daring inquiry into the dark heart of power at Massey and in West Virginia”. Leamer says the ultimate results could “send a signal to the entire Appalachian region that no longer can corporate and political mandarins run roughshod over the rights of the people,” if only U.S. Attorney Booth Goodwin “has the guts to stick to it.” But there’s quite a bit of speculation in there about where things stand, and what might happen literally any day now. 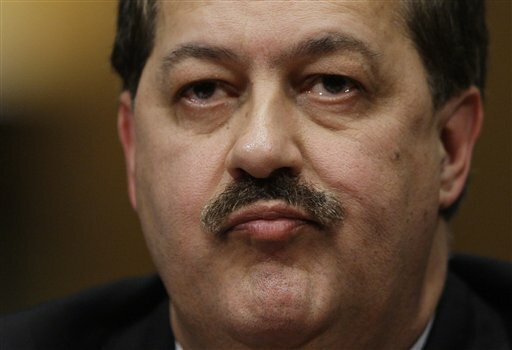 Former Massey Energy executives and board members “may be, or may become” targets in the ongoing federal criminal investigation of the Upper Big Branch Mine Disaster, prosecutors said in court documents filed this week. … So far, one former Upper Big Branch miner, a former mine superintendent and a mine security chief have gone to prison. An official from another Massey mine is awaiting sentencing after pleading guilty in a deal to cooperate with prosecutors. During a plea hearing in February, that other Massey official, David C. Hughart, alleged that Blankenship was part of a decade-long conspiracy to hide safety violations from federal inspectors. Through his lawyer, Blankenship has said he did nothing wrong. None of us have (or should have) inside info on where Booth Goodwin is in time and space on the criminal investigation of Massey. But all of the “footsteps” — the repeated representations to Judge Berger at sentencing hearings that the investigation is continuing — suggest that Goodwin is still on the case. So why not keep the faith? Also, I don’t claim to know all the precedents, but has the US Atty job ever been a stepping stone for elective office in this state? Do we have any tradition like the one in the Southern District of New York? Rudy Giuliani, Mary Jo White, Robt Morgenthau, Thomas Dewey, Whitney North Seymour? I’m sure Booth Goodwin is ambitious, but we have no reason to date to assume that he’s incapable of dropping a very heavy hammer on certifiable bad guys — not to suggest, of course, that that characterizes former executives at Massey. Not at all.